A random survey in Germany found 16% had never been trained and 47% had taken a class more than 20 years ago. Why don’t more people know CPR? 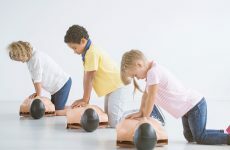 Concerns about performing CPR incorrectly, injuring the victim, and reluctance to provide mouth-to-mouth ventilations are a few of the reasons people don’t learn how to perform CPR. In this article, we’ll address common myths and misconceptions about CPR. Statistics show you are more likely to perform CPR on someone you know versus a stranger. Approximately 80 percent of cardiac arrests occur in the home. Furthermore, International Liaison Committee on Resuscitation (ILCOR) guidelines prioritize chest compressions over mouth-to-mouth1. 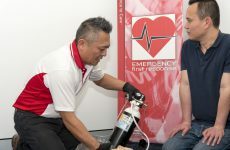 Studies have found performing chest compressions alone can be just as effective as chest compressions with mouth-to-mouth, provided the chest compressions are done correctly. This is known as Hands-Only CPR. That said, there are two circumstances where mouth-to-mouth ventilations may increase the chance of survival: if the victim is a child, or if the rescue is due to a drowning accident. During an Emergency First Response© (EFR) class, you’ll practice administering mouth-to-mouth on a mannequin. Our students also learn to use barriers (pocket masks) to practice safe and effective delivery of rescue breaths. CPR, like other physical skills, can be easily mastered with sufficient hands-on training and practice. How easy? 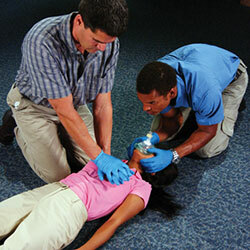 A recent study found 86 percent of children ages 9-18 could correctly perform CPR after receiving hands-on training. The steps are fairly simple, however, you cannot learn how to perform CPR effectively by watching a video. In a hands-on class, you’ll use a CPR training mannequin to learn exactly where and how hard you need to press to provide effective chest compressions. For those who are reluctant to learn CPR for fear of “doing it wrong,” or causing physical harm to the victim, remember that CPR is designed for someone who isn’t breathing and doesn’t have a heartbeat. They are clinically dead1, you cannot make their condition worse. As a bystander, the only wrong thing you could do is nothing at all. When every second counts, CPR can make a difference. Performing CPR can, in some cases, double a victim’s chances of survival. CPR can save the life of someone who is not breathing and has no heartbeat due to asphyxiation, cardiac arrest, drowning, electrocution, or a heart attack. Even if you and your loved ones are in good health, accidents do happen. The only way to learn CPR properly is through hands-on skill practice. If you truly want to learn how to save a life, find an in-person class with an experienced CPR Instructor. In an EFR CPR class you’ll gain the confidence and skills to respond in an emergency. You’ll practice real-world scenarios and your instructor will answer any questions and address any concerns you may have. Learn more about CPR certification from EFR, view our accreditations, or find a CPR Instructor near you. 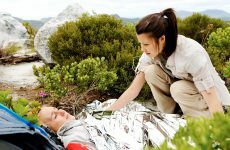 More in Blog - General First Aid News, Tips & Updates.